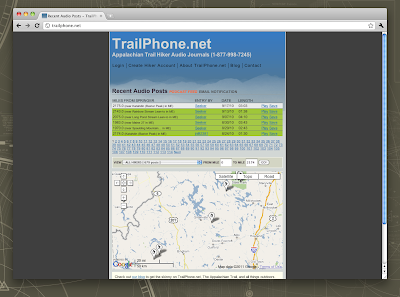 The skinny on TrailPhone.net, The Appalachian Trail, and all things outdoors. Last November, our old phone service provider (TellMe Studio) shuttered their doors, which basically rendered our telephone service for AT thru-hikers useless. In my free time, I've been rebuilding TrailPhone.net from the ground up, and am happy to announce that the "new and improved" site is almost ready. 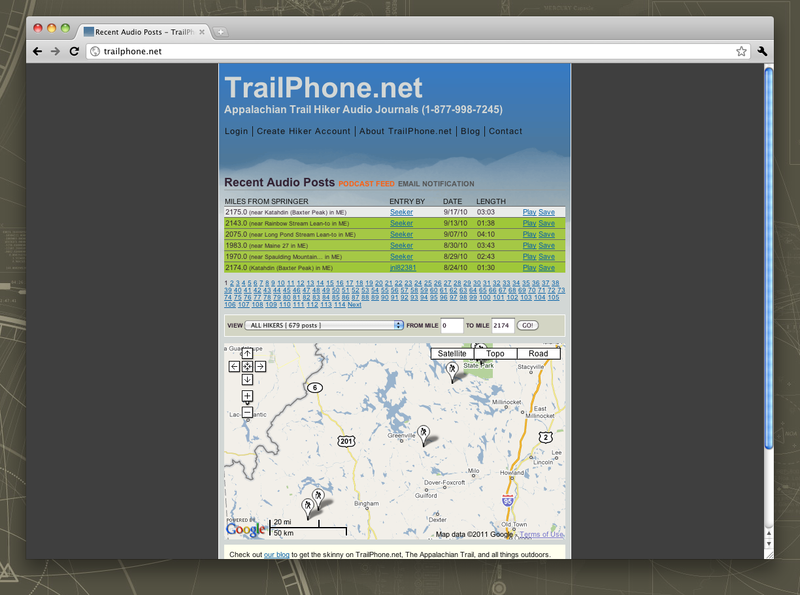 I think I'm a much better web developer then I was in 2007, when TrailPhone.net first launched. The new site is prettier, more useable, and has a much more solid code base under its hood. The site's guts have been rebuilt using Symfony. And, Tropo for the phone layer. I'd like to continue sprucing up the site and adding new features after the relaunch, but right now my priority is to simply have a stable working version of TrailPhone.net for hikers to start using ASAP. 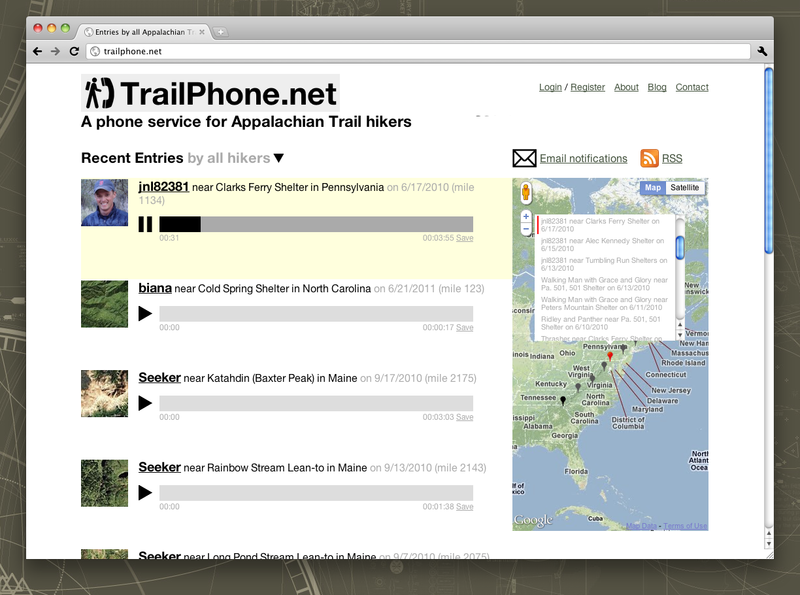 TrailPhone.net makes it easy for Appalachian Trail hikers to share their journeys over the web. Hikers can map their progress and record audio updates from any plain old telephone.